Enjoy the convenience of starting your Sydney Shore Tours excursion directly from your Cruise Ship, Hotel or Airport. 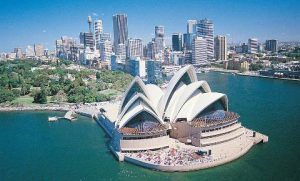 Your professional guide will meet you at the pickup point of your choice and ensure you get the best from your time in Sydney. We customise our tours to fit your cruise schedule. We can also take your luggage with us so you will have nothing to worry about – you can just relax and enjoy your exclusive Sydney day tour with Runaway Tours. Whether you want to experience our Sydney Shore Trips or a Personal Day Tour you will have your own personal driver/guide and vehicle for the ultimate exclusive experience. We can exactly cater your tour to your schedule. Although we have regular start times, we can adjust these to better suit you. You will be met by your guide on arrival at the Sydney International Airport and begin your Sydney Day Tour straight away. With your bags loaded into our luxury minibus, you can sit back and enjoy your great day out. You will be dropped off at the end of your day’s adventure either at your hotel, or one of the two Sydney Cruise Terminals, ready to embark on your sea journey. 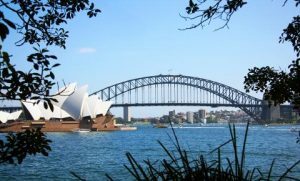 You will meet your guide directly as you disembark from your Cruise Ship to immediately begin your private Sydney day tour. Pack your luggage on board, and your day tour begins. At the end of your day we will drop you off at your hotel or, if you are flying out immediately, at Sydney Airport. Travel from the historic birthplace of Sydney, The Rocks, over to Mrs Macquarie’s Chair for spectacular views of the Sydney Opera House and Harbour Bridge, visit Bondi Beach, King Cross and other highlights. Explore the best of Sydney with The Rocks, Sydney Opera House, the Harbour Bridge and Bondi Beach. Venture further afield and discover Sydney’s hidden delights on the relaxed Northern Beaches. 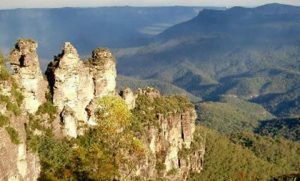 Visit the famous Three Sisters, stroll the bush tracks and discover waterfalls, native wildlife and learn about Aboriginal culture. Get up close and meet a koala and feed a kangaroo at Featherdale Wildlife Park.